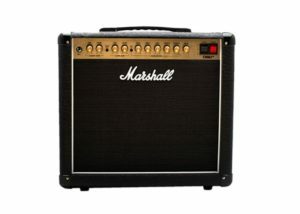 Once you get your guitar, amp and tone set, you can then progress forward with where the fun comes in. Learn to tune up your guitar and play it! Start off with open chords first. These are great because they require only one finger to form and play them. Chords like Open E, Open A & Open D. These are the easiest to learn and will set a solid foundation for your development of playing rock guitar. But first, we must tune-up! Before you start playing anything on the guitar you want to make sure that you’re in-tune. Meaning that all six strings are at the correct pitch relative to each other. This way when you play them they will be in harmony with each other. And for this, we need a guitar tuner. How to tune your guitar. Now that you have learned a little bit about the guitar, you are ready to learn about how to tune it. But before you do, I’d recommend you learn the name of the guitar strings. This will allow you to know what to tune the guitar strings too. A good way to remember this would be to use an acronym. Eddie Ate Dynamite, Good Bye Eddie. Or you could do it in reverse. aster Bunnies Go Dancing After Easter. Either way is fine, it doesn’t really matter as long as it helps you to remember the strings name. After you learn and you remember your strings name, you are now ready to tune your guitar with a guitar tuner. 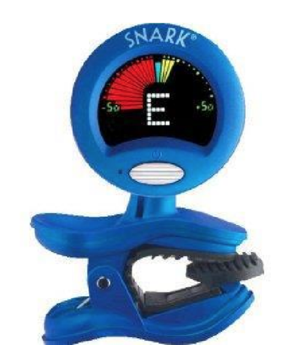 I recommend a Snark clip-on tuner. Once the guitar is in tune and everything is set to go we can now proceed to actually play the guitar and start to make music with it. And this is where it starts to get fun. The very first chords you want to learn are your open power chords. We start with these because they are the easiest to play. Like stated before, they only require one finger. Your index or first finger will do. In addition to that, it is best to learn a little bit how one might read these chords on a sheet of music paper as well. Like tablature. This is simplified sheet music for guitar. Here is an example of what they look like. The horizontal lines represent your guitar strings. Biggest on the bottom, smallest on the top and the numbers represent the frets in which you will put your fingers. Except for the 0 which stands for open, which means you play the string without putting your finger on it. In the example above for the Open E chord, you will place your index finger on the 2nd fret of the fifth string and strum only the sixth & fifth strings. For the Open A chord same thing just a string down and same for the Open D chord. These three chords are all formed and played on the second fret. They just change strings that you play them on. When playing open power chords with one finger, be sure to only strum the two strings that the chord is on. This will make it easy to get a good sound out of your guitar to start. Eventually as time progresses and you learn more complex chord voicings, you’ll strum more strings and get more sound out of your guitar, but for now, just strum the two that the chords are made of. By taking this approach to form and play simple one finger chords, you will be able to build self-confidence fairly quickly and you will be setting up yourself for closed power chords. Two note chords that move up and down the fretboard. 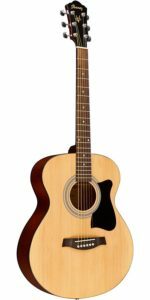 In this lesson, we have learned about how to tune our guitar and start off playing simple one finger chords. By doing this we are now setting a foundation for our other chords that are needed to learn for playing the art of rock guitar. There are many guitar chords to learn but these are the easiest and most common to start with for playing rock guitar. Not just guitar mind you, but rock guitar. This is a certain style of guitar playing. Very much like Jazz or country or blues. 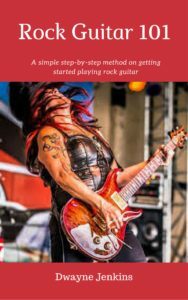 Now if you are interested in learning more about how to get started playing rock guitar I recommend you check out my book Rock Guitar 101. A is a simple step-by-step method book for beginners. 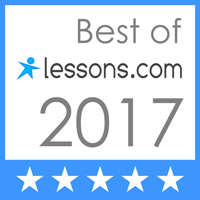 It is designed to teach the fundamental principles of the art with easy to understand lessons and full-color pictures so you can learn easily and get quick results. It goes over everything that is needed to get started. 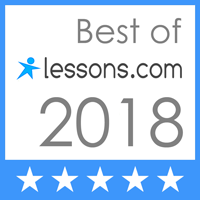 From what type of guitar, amp, tuner, chords to learn, how to develop timing for better rhythm playing, intro to lead guitar and much much more. It even has a rockstar training quiz at the end to make sure the student fully understands the material. And the best thing about it is no previous musical knowledge is necessary. 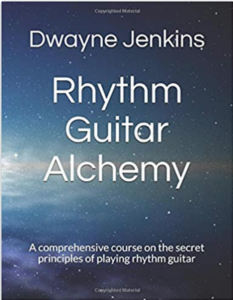 This book can be learned by anyone at any age who wishes to learn the art of rock guitar playing. All that is necessary is the desire to learn and want to get better. 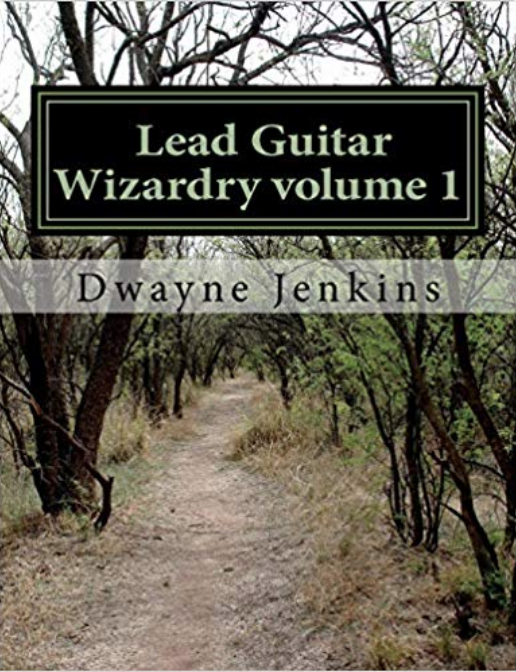 So if you have that desire, check out the book and get started enjoying the fun of playing rock guitar. You’ll be glad you did. And if any further help is needed, I’m only an email away. Best of luck and until our next lesson, take care.